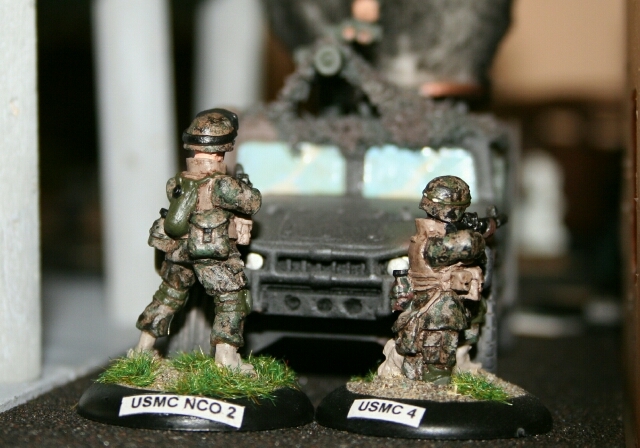 To wrap up the posts showing the minis I finished in recent weeks… here are my US Army soldiers in ACU camo. 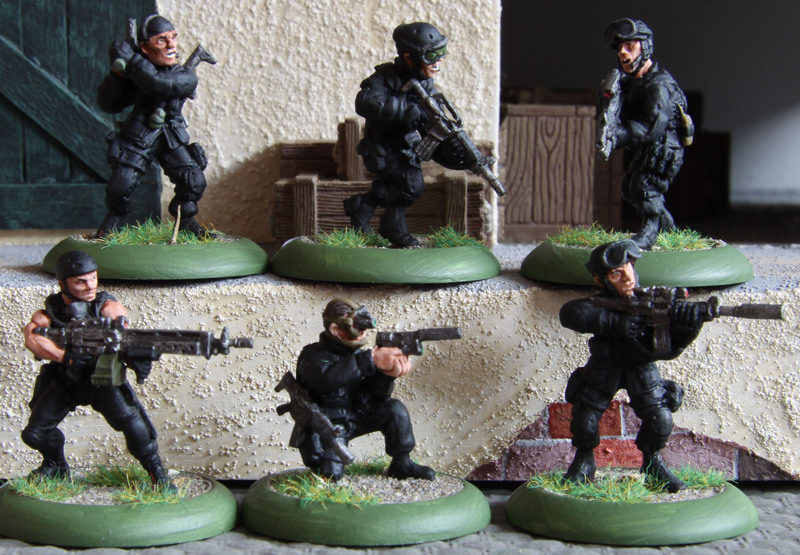 Now these are a mix of the old Devil Dog Designs US Airborne minis and the TAG SWAT range. You can tell them apart by looking at the helmets. The former have covers, the later have no covers. I did not mind minis without covers, too much. Since the wars in Iraq and Afghanistan started, I saw a number of pictures showing soldiers without them. It seems that most of these men came from the Airborne Divisions or Rangers. Which serves me right. 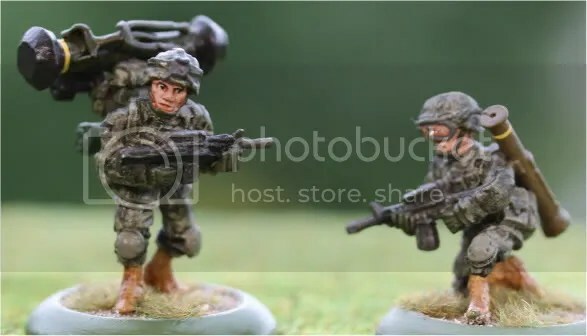 I want to use these minis to represent two different units and since one of them is an Airborne unit, this is just fine. So which units do I want to represent? Well keep in mind that all the forces I paint are meant for a hypothetical WW III set in Europe somewhere between 2003 and 2008, with the main battlefields being in Poland (part of NATO), Germany and the Baltic Republics. In that sense I need units that are either stationed in Europe or are part of NATO´s plans for Europe. Plus I prefer to model lighter units for modern games. So the first unit is the 173rd Airborne Brigade Combat Team. They are stationed in Italy. 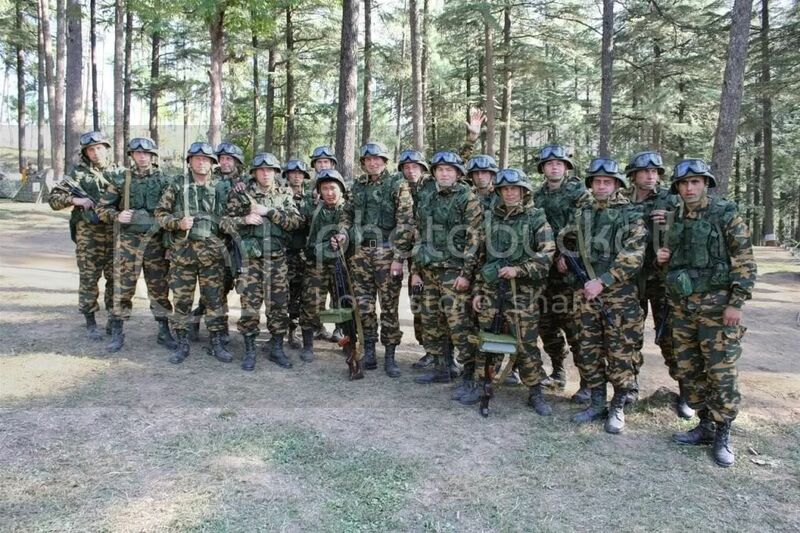 They are also part of the US Army Europe QRF. In that sense they are a perfect match. Their TO&E is fairly standard, so I can use them without too much thought. The other unit is the 2nd Stryker Cavalry Regiment. They are the only Stryker unit stationed in Europe, better yet in Germany. Since I wanted a Stryker unit as my second choice, it had to be them. Now a Stryker unit has a slightly more robust TO&E with nine men fire teams.So that is the minimum of minis I need to paint. So… do you want to see some pictures? Next up are the first two fire teams I painted up. 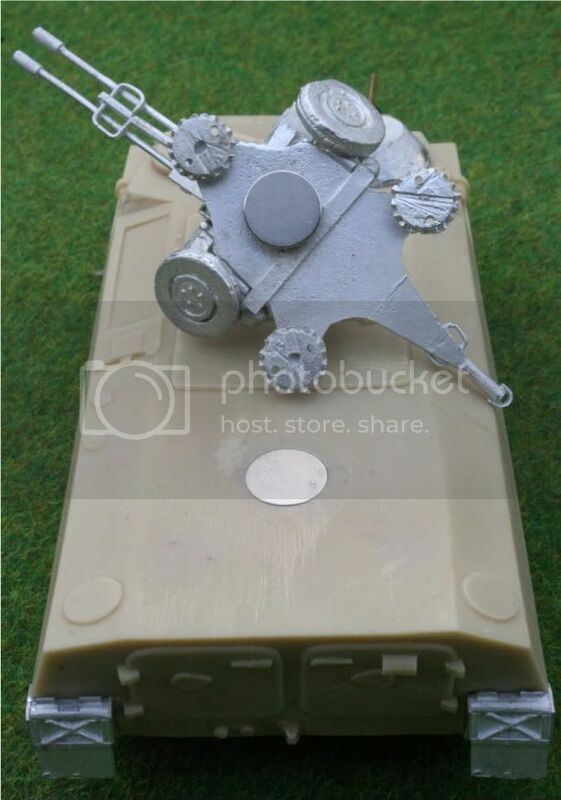 Now the second team is still missing their second SAW gunner. But since I will have to get myself another fire team and a support (machine gun) team anyway, he will be added then. 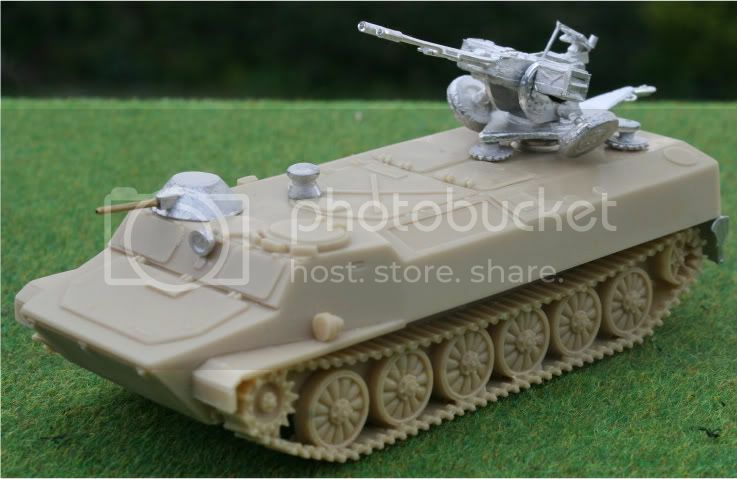 These new additions will come from Empress Miniatures. I also want to beef my Airborne up somewhat with a motorcycle team. 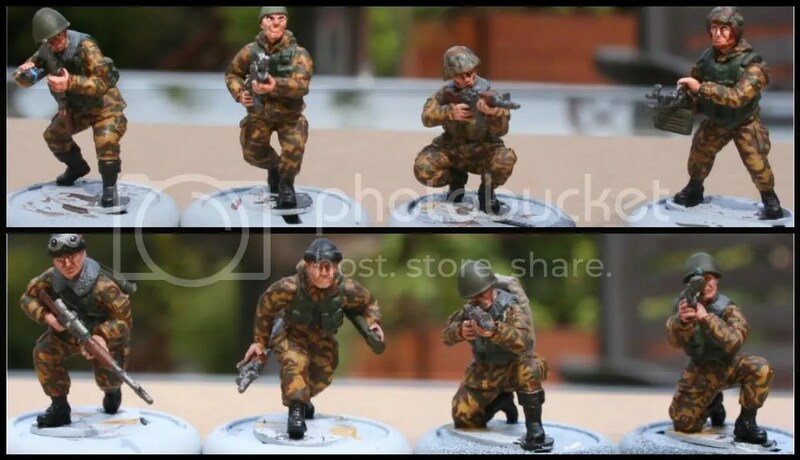 I still have two minis from DDD and three from Eureka (their Australian SAS range). There are two more minis have painted, but have not allocated to a unit. These are my AT troopers and I want to keep them separate from the normal fireteams, only ex-changing them when I need more punch. 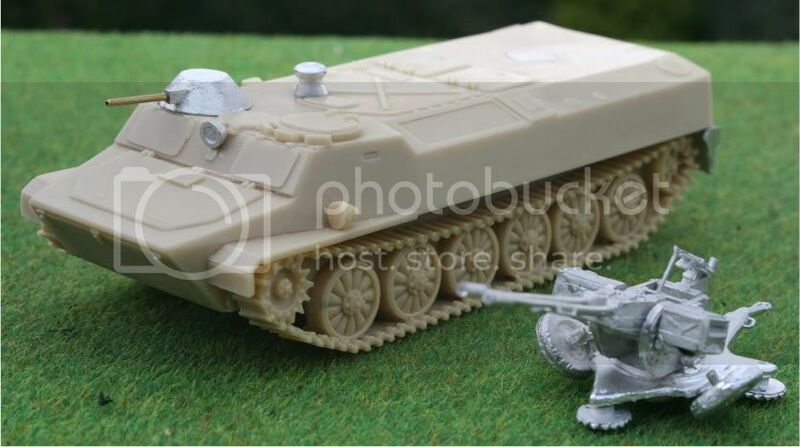 By the way… I know that the M47 Dragon has already been phased out by the US Army, but I know they still have huge stocks. In that sense I felt they would not be out-of-place with a desperate situation like one would encounter in an all out war. The base coat os VAL Green Grey, followed by GW Rotten Flesh and finally VAL Russian Uniform. These were all applied using this technique (Flecktarn technique on our club homepage). Once done these were washed with a mix of one part VAL Black Ink and 5 parts water. And presto… all done.